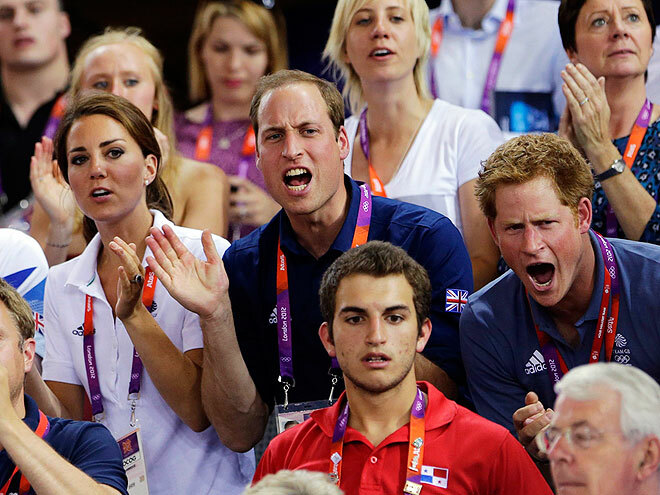 The British royals are getting geared up for the Olympics without even breaking a sweat! 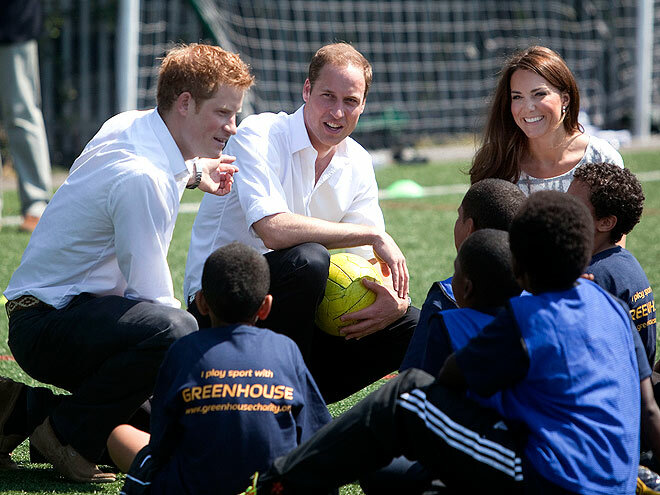 As his adoring wife looks on, Prince William passes on a few words to kids on the soccer field during a stop by London's Bacon School Thursday to launch Coach Core, a fitness initiative to provide training to young athletes looking to become future coaches. 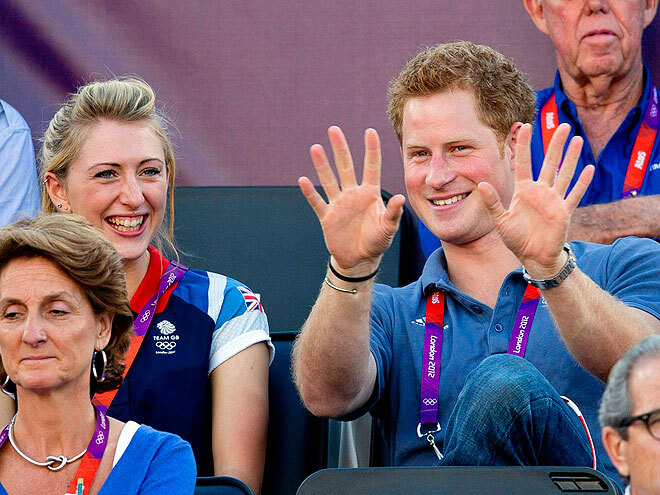 Prince Harry or Pippa Middleton: From Whom Would You Take Party-Planning Tips? Ryan Lochte Parties in Two Cities in One Night! 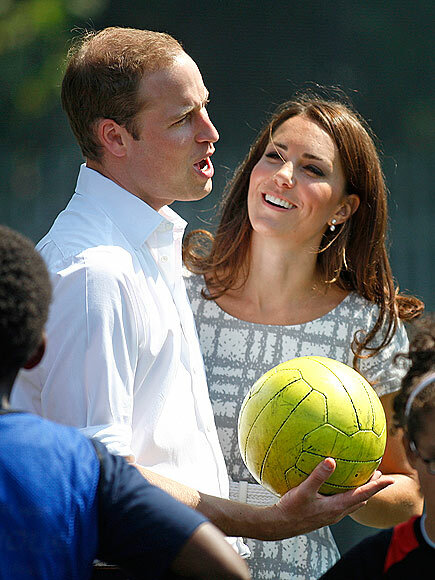 William isn't the only one handy with a ball: The Duchess of Cambridge shows off her ping-pong skills – and her look of triumph as she gets one by an opponent. Joined by Prince Harry, the trio huddle for a chat with youngsters on the field. 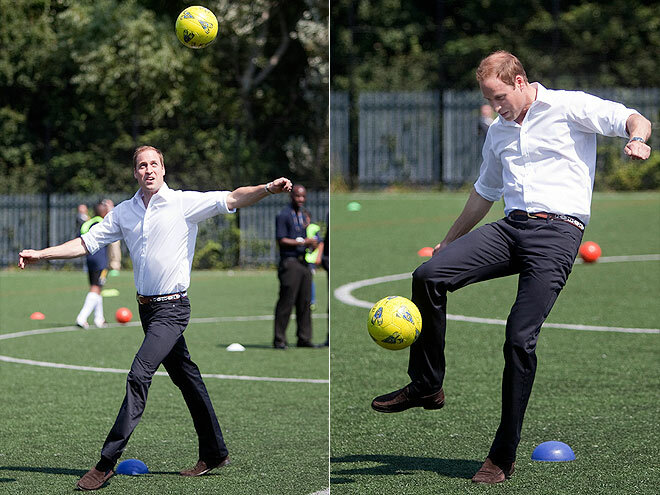 Despite being dressed more for a boardroom than a soccer field, Wililam shows off impressive skills. 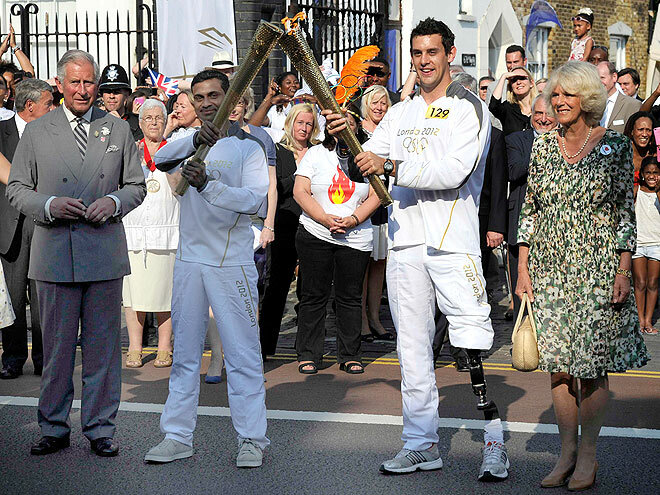 C'mon, best two out of three! 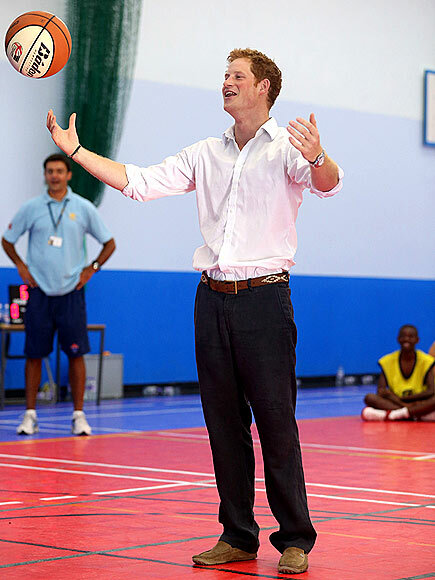 He's more a volleyball man, but Harry tries his hand at hoops because he's an all-court kind of guy.